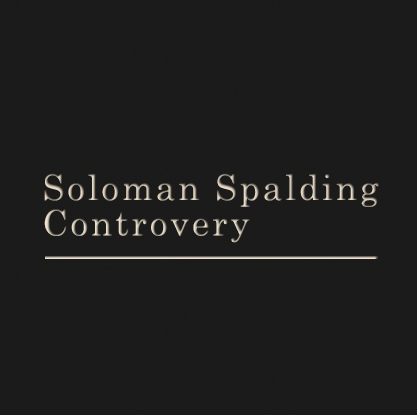 Solomon Spalding was born in Ashford, Conn. in 1761, and in early life contracted a taste for literary pursuits. After he left school, he entered Plainfield Academy, where he made great proficiency in study, and excelled most of his class-mates. He next commenced the study of Law, in Windham county, in which he made little progress, having in the mean time turned his attention to religious subjects. He soon after entered Dartmouth College, with the intention of qualifying himself for the ministry, where he obtained the degree of A. M. and was afterwards regularly ordained. After preaching three or four years, he gave it up, removed to Cherry Valley, N. Y, and commenced the mercantile business in company with his brother Josiah. — In a few years he failed in business, and in the year 1809 removed to Conneaut, in Ohio. The year following, I removed to Ohio, and found him engaged in building a forge. I made him a visit in about three years after; and found that he had failed, and considerably involved in debt. He then told me he had been writing a book, which he intended to have printed, the avails of which he thought would enable him to pay all his debts. The book was entitled the “Manuscript Found,” of which he read to me many passages. — It was an historical romance of the first settlers of America, endeavoring to show that the American Indians are the descendants of the Jews, or the lost tribes. It gave a detailed account of their journey from Jerusalem, by land and sea, till they arrived in America, under the command of NEPHI and LEHI. They afterwards had quarrels and contentions, and separated into two distinct nations, one of which he denominated Nephites and the other Lamanites. Cruel and bloody wars ensued, in which great multitudes were slain. They buried their dead in large heaps, which caused the mounds so common in this country. Their arts, sciences and civilization were brought into view, in order to account for all the curious antiquities, found in various parts of North and South America. I have recently read the Book of Mormon, and to my great surprize I find nearly the same historical matter, names, &c. as they were in my brother’s writings. I well remember that he wrote in the old style, and commenced about every sentence with “and it came to pass,” or “now it came to pass,” the same as in the Book of Mormon, and according to the best of my recollection and belief, it is the same as my brother Solomon wrote, with the exception of the religious matter. 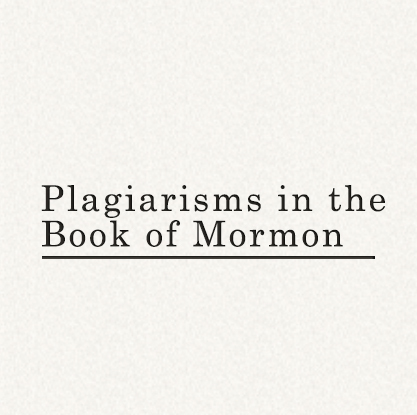 — By what means it has fallen into the hands of Joseph Smith, Jr. I am unable to determine.